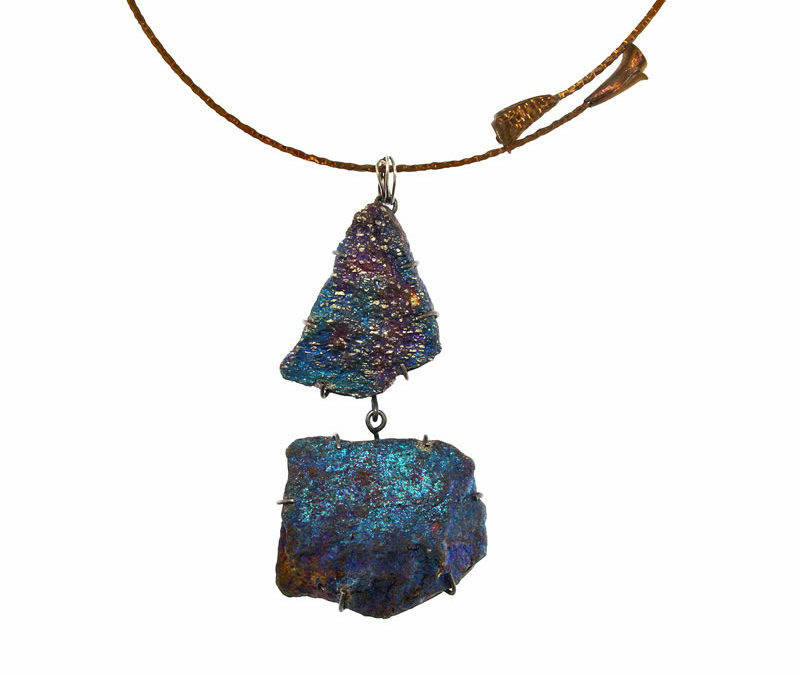 Stiff titanium wire necklace with pendant with two chalcopyrites in original formation and colouring. 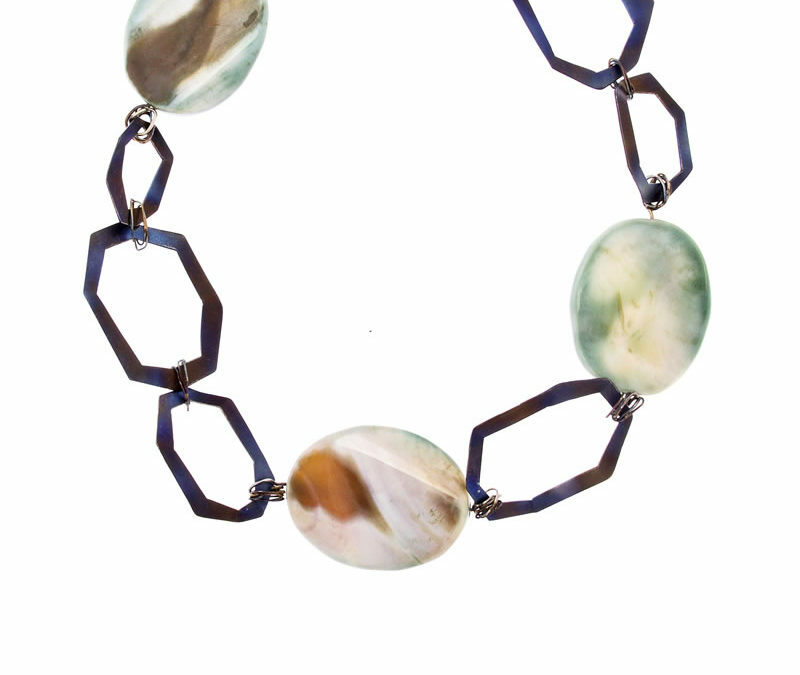 Grey blue finish titanium plate necklace with shaped geometrical rings joined by intertwined wires, with natural green agates set in between. 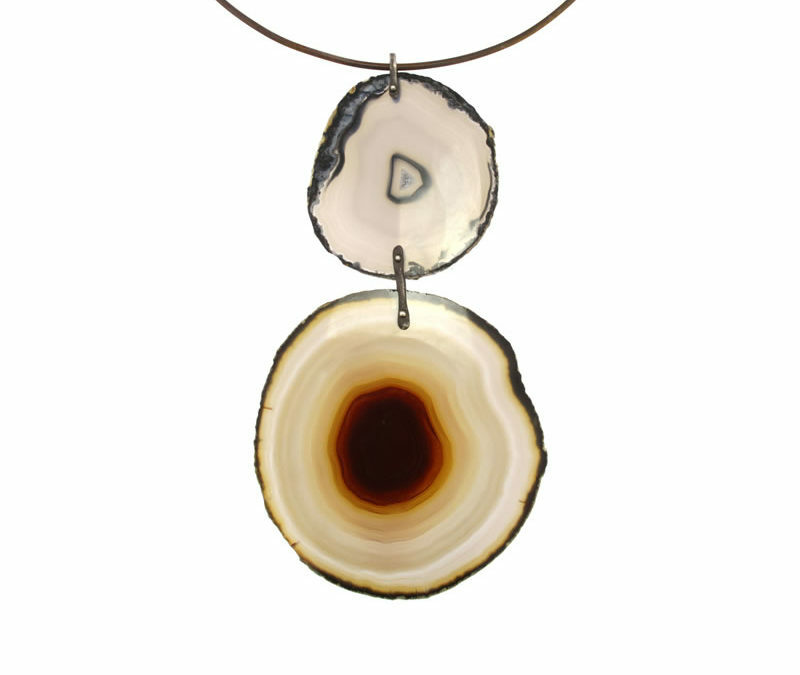 Titanium section and wire necklace set with two pinned natural agate discs. 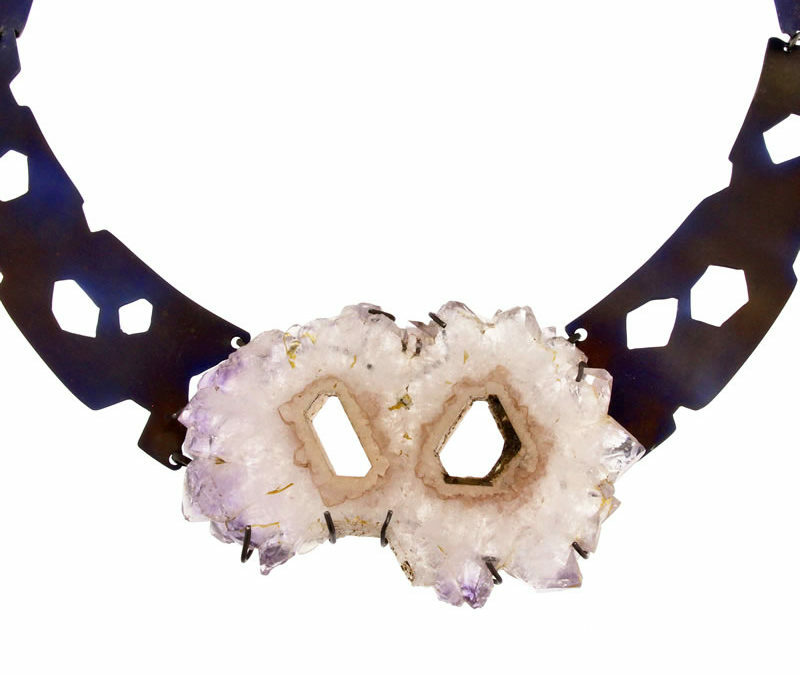 Grey blue finish geometrical motif titanium plate necklace set with amethyst in original crystal form. 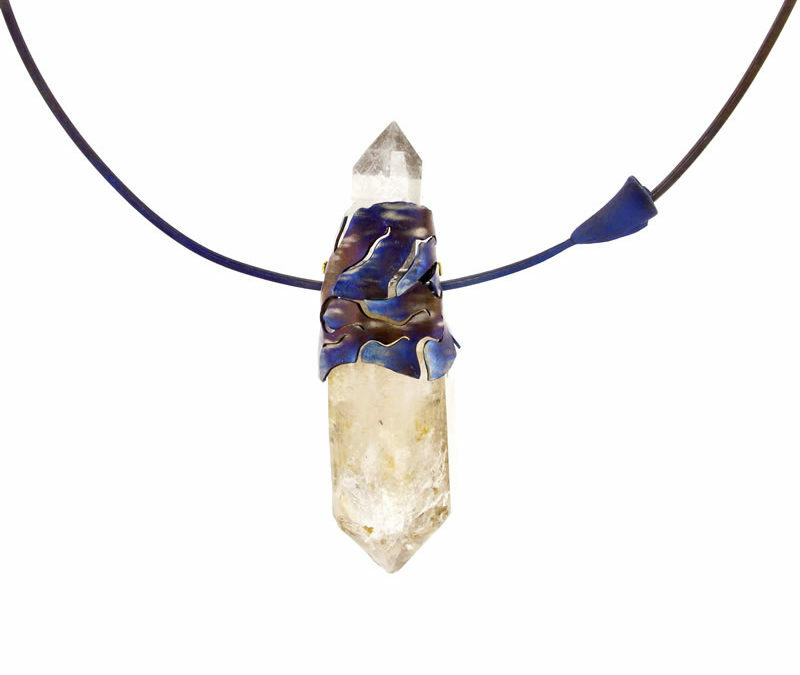 Blue finish titanium necklace set with biterminated hyaline quartz crystal in its original form.